Showing results for tags 'second life viewer'. Is there anyway I can log into SL / Firestorm via CMD prompt? I just want to idle in a sim without any background stuff like the game's engine running. Just pure text in a console. Thanx! UPDATED POST! After 5:00 PM PDT on 6/5/2018 we released a new build of Second Life 5.1.6.515965 into a Release Candidate cohort we named "Unloop". This is a mandatory update for all Windows 32 bit systems which will help them escape the loop. Even if you had already followed the instructions below, you will be updated to 5.1.6.515965. Unfortunately, all Win8.1 or Win10 64 bit systems (not Win7 64bit) with any of the following GPUs: Intel HD, Intel HD 2000, Intel HD 2500, Intel HD 3000 or Intel HD 4000, cannot be forced out of the loop with mandatory updates. Since these GPUs do not have 64 bit driver support they must run the 32 bit version of Second Life. Residents with those hardware profiles will still need to manually uninstall Second Life *and* delete the remaining /downloads folder which is described in detail below. Original Message Greetings Residents! To all our 32 bit Windows users and a select group of 64bit Intel HD graphics users too, we’re sorry. Before noon (PDT) yesterday, 5/31/2018, we released the latest version of Second Life, version 5.1.5.515811. At the time of release there was an error defining the location of the 32 bit version of the Second Life viewer download. Because of that error, we delivered the 64 bit version of Second Life to everyone, even if your system was not capable of running it. This morning we saw an increase of bug reports and community blog posts about viewer updates being stuck in a loop and began investigating immediately. Ultimately we discovered the flaw was the lack of a valid download link to the 32 bit version of Second Life in our update system. We corrected this swiftly just before noon today, 6/1/2018. Anyone that did not attempt to log in to Second Life during that 24 hour window will not experience any issues. 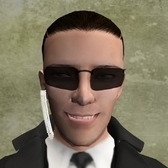 Anyone capable of running the 64 bit version of Second Life, was not impacted and shouldn’t have noticed anything but a normal Second Life viewer update. Unfortunately, anyone limited to the 32 bit version of Second Life, that did attempt to log in to Second Life during that 24 hour window is now likely stuck in an endless loop of trying to install the 64 bit version of Second Life. There is a way out of this loop. Updated Instructions. Uninstall the the 64 bit version of Second Life Open your file explorer in Windows In the address bar type in %appdata% and press Enter Locate the SecondLife folder and open it Locate the downloads folder and delete it (this is where the incorrect 64 bit version keeps trying to install from) Install the 32 bit version from: http://download.cloud.secondlife.com/Viewer_5/Second_Life_5_1_5_515811_i686_Setup.exe Launch Second Life as normal (if this does not resolve your issue please file a bug report at https://jira.secondlife.com) Thank you for your patience and understanding, we stumbled and we’ll make corrections to our processes to ensure this doesn’t happen again. Looking for a certain kind of viewer. I normally use Firestorm or Singularity now days since Ctrl Alt Studio is no longer being developed. I prefer the way Singularity renders the graphics in that viewer because I have found it just runs smoother and faster on any pc I have ever gamed on. I prefer Firestorms options though such as shows friends only, the appearance section that pulls up all the items in the My Outfits folder and using viewer AO instead of needing a hud and I generally use that viewer more, but it has always been an extreme resource hog. Ctrl Alt Studio was like my happy medium for me between the two viewers for me. Does anyone know of another viewer out there that has those features and the old school style interface as these viewers have by chance? Thanks in advance.